Contact us we are currently upgrading our stock system to allow us to fulfill your orders in a quicker and more seamless manner. We apologize for any inconveniences caused. Garcinia Cambogia 1000mg (per serving) is a tropical fruit supplement which contains properties that helps the body from producing fat from carbohydrates, aiding as a fat metaboliser. The powdered rind of this fruit is added to many existing food products as it gives you the feeling of fullness. Studies have also shown that Garcinia Cambogia may make it easier for your body to use glucose, improving blood sugar levels. These appetite suppressant capsules each contain a high dose of 100% pure natural Garcinia Cambogia Whole Fruit. Take 2 capsules per day prior to food or as directed by your healthcare professional. Do not exceed the recommended dose. Our Raspberry Extract helps the fat within cells to be broken down more effectively, helping the body to burn fat faster. It encourages the secretion of Adiponectin, a protein hormone that regulates several metabolic processes, breaks down fatty acids, and curbs overeating by reducing appetite. Garcinia Cambogia is the tropical fruit extract known to block the body from making fat from carbohydrates. This bundle is best taken simultaneously for weight loss and dieting goals. A natural substance collected and metabolised by honey bees from the sap of leaf buds and tree barks. 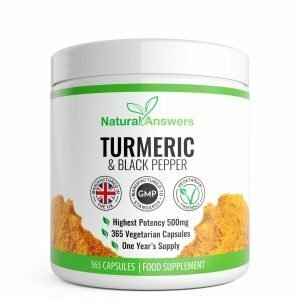 Containing as many as 300 active compounds including flavonoids, vitamins and minerals that provide powerful support particularly for our immune system. Its antioxidant rich formula contributes to maintaining healthy cells and reducing free radical damage. Comprehensive support for your health and wellness goals. Ashwagandha (commonly called Indian Ginseng or Winter Cherry) is an incredibly healthy medicinal herb, rich in antioxidant properties. It is classified as an “adaptogen”, meaning that is can help your body manage various types of stress. Ashwagandha also provides all sorts of other benefits for your body and brain, providing an enhanced feeling of overall well-being. Take for complete health and wellness goals. Formulated with naturally cleansing Aloe Vera and other botanicals to help remove colon waste and toxins from the body. Best used for detox and cleanse goals. POWER CLEANSE WITH ALOE VERA is a fantastic weight management supplement but also perfect for those seeking a natural gentle cleanse and detox formula. This supplement contains 7 naturally detoxifying ingredients, each with their own individual benefits. Raspberry Max supports the body’s natural ability to oxidise fat for more effective fat burning. It contains scientifically-backed natural, yet powerful ingredients known to increase metabolism and reduce the desire to eat. As well as Wild Raspberry ketones triple strength, this best-selling formulation is blended with Caffeine to super boost energy, enhance memory and improve concentration. Welcome to Natural Answers. Our range of high quality weight loss and health supplements are made in the UK from naturally sourced ingredients.